Firstly, wish you all a very happy new year!! I am finally back in the US and what a trip its been! Highs and lows.. 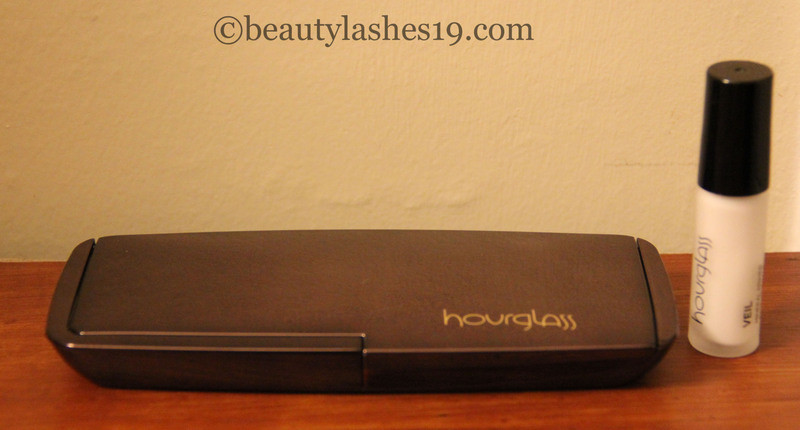 Nevertheless, I can now be back to posting regularly.. Here’s my review on the Hourglass Ambient lighting palette.. I am a sucker for products that truly work and this product sure didn’t disappoint me.. 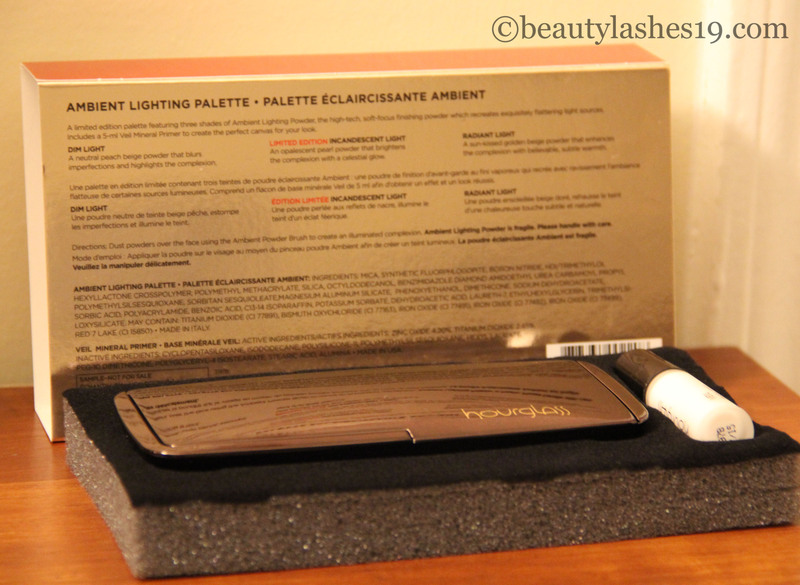 The Hourglass Ambient lighting palette is a limited edition palette with three of the Ambient lighting powders.. Of these, two are from the regular line (Dim light & Radiant light) and one shade is exclusive to this palette (Incandescent light)… It’s priced at $58.00 and comes with a 0.16 oz sample of the well-known Hourglass Veil mineral primer.. I think the price is good considering you get to try three shades of this gorgeous finishing powder and a sample of a great face primer.. These are extremely finely milled, almost invisible powders that are designed to mimic different lighting effect on your skin, without looking powdery.. These powders give a soft focus effect and are perfect for use in weddings & photography- these are meant to withstand even flash photography! 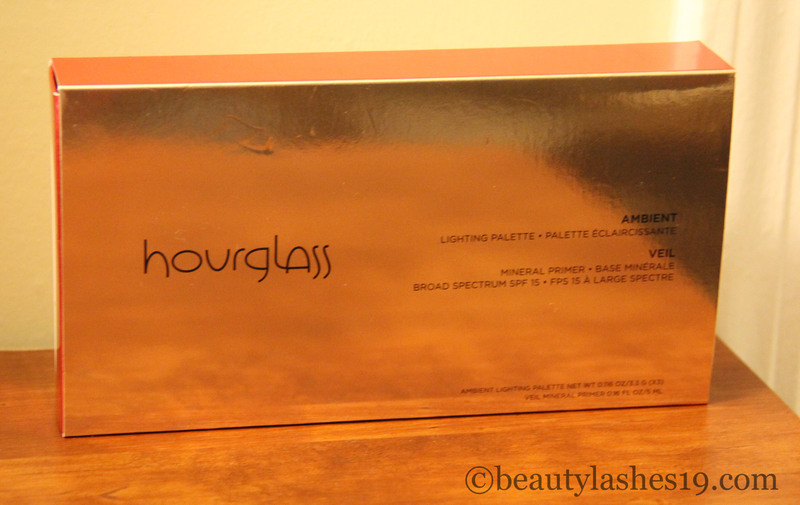 The first shade is Dim light and is by far my favorite amongst the three.. So much so that I have bought a full-size..! 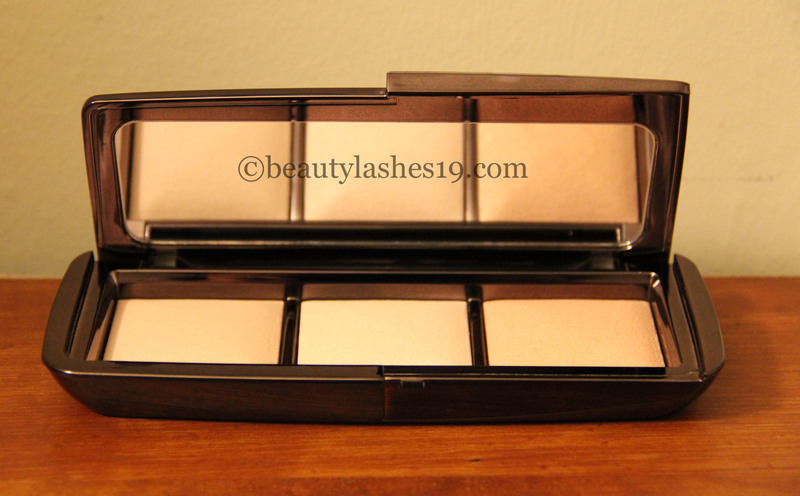 It’s a neutral beige powder that blurs imperfections and highlights the complexion.. I apply this all over my face and it contains a balance of warm and cool colors that balances out the color in my skin.. almost giving an even, tanned effect.. I absolutely love that and I used this shade in particular for my sister’s and my weddings.. The final shade is Radiant light – A sun-kissed golden beige that enhances the overall complexion with believable, subtle warmth… this makes a good overall bronzer and has slight shimmer flecks to it.. I see getting more use out of this shade in summer.. Overall, I am in love with these powders and have bought two of the full sized ones.. You should try one to believe it.. It sure makes the skin look more put together with a soft-focus finish and is a great setting powder.. neither matte, neither too shimmery (varies depending on the shade ofcourse).. each shade brings out a different personality in you.. 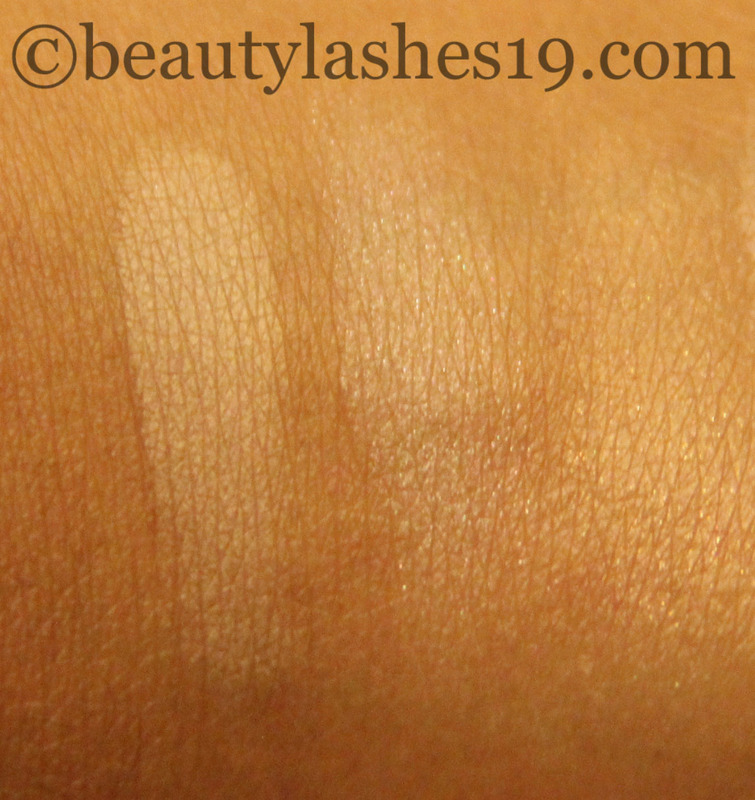 I would highly recommend the shade Dim light in particular for all skin tones (except for very fair/pale skin)..